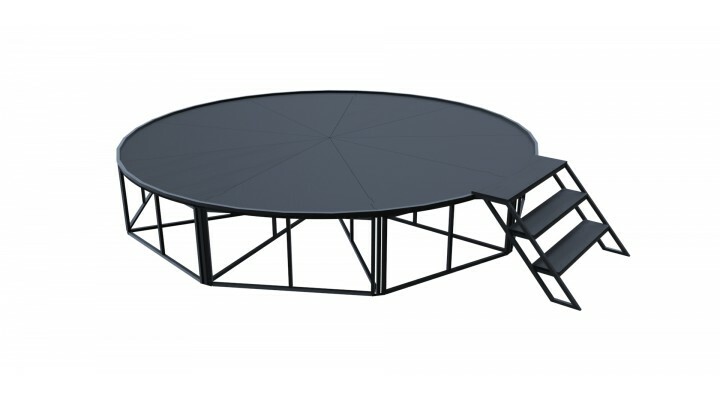 This full 12ft circle stage fans out from one central frame and locks in place with 9 equal upright sections. Ideal for performers, artists, equipment and schools. The frames are made from steel or lightweight aluminium which is powder-coated black. 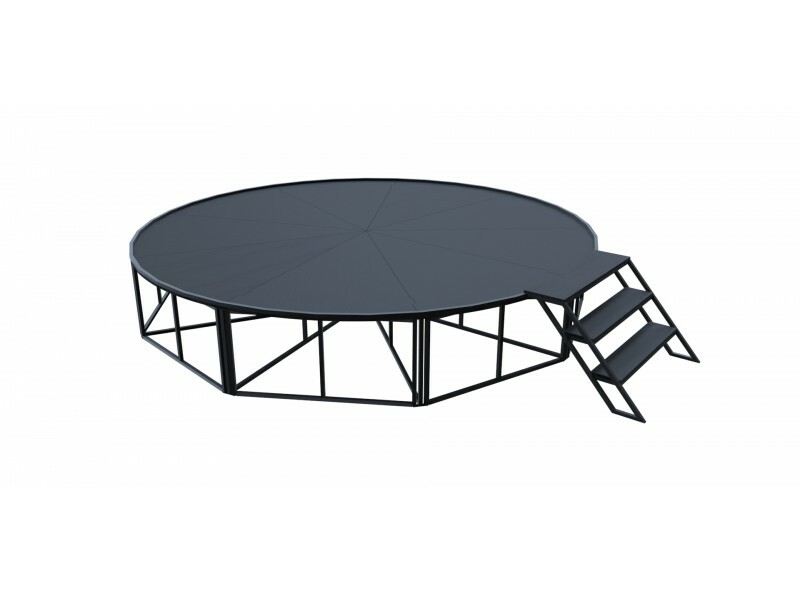 The stage top is made from 9 segments of 18mm Birch ply which is stained black using a durable paint.